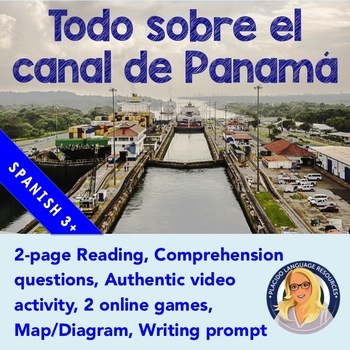 7 page resource PLUS online resources and activities designed to give students a broad overview of the Panama Canal! 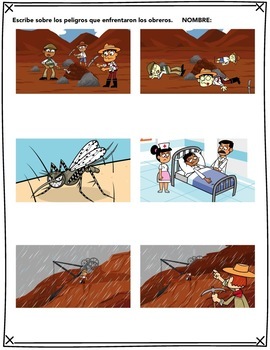 Perfect preview for the Comprehension-Based Reader Vector (by Carrie Toth, available at FluencyMatters.com) or as a stand-alone lesson on the Panama Canal. 1. Show a simple, quick video showing the way locks work (link provided in the resource). 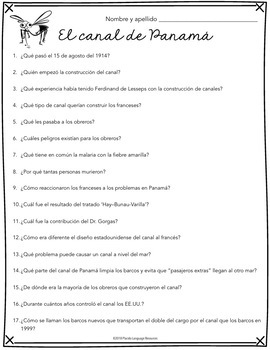 While viewing the video, talk about what esclusas are and show “a nivel del mar”. Tell students how the “nivel del agua sube o baja para los barcos”. 2. 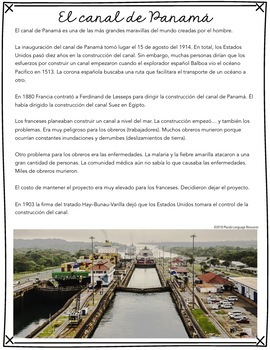 Continue with the reading “El canal de Panamá” in the packet. There is also a map of the canal and a diagram of the locks for reference. You may opt to have the students complete the 17 comprehension questions as well. Answer key included. 4. Show an authentic video (link provided in the resource). Discuss, stopping the video, asking questions and reviewing key ideas.